Blood Donors who are 16 years or older are encourage to join us at the MLK center on August 17th Feel Good. Give Blood. Donors will receive 2 Safari Joe’s Waterpark tickets, a t-shirt & 1 vote for the non-profit of their choice. 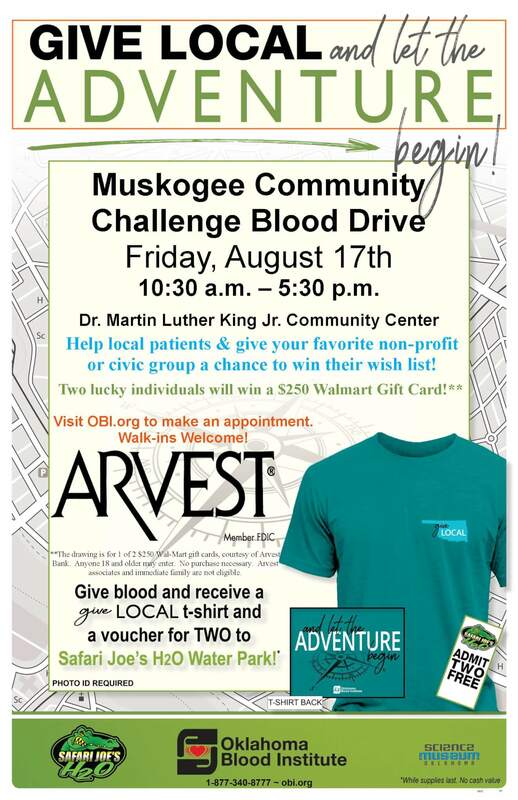 Non-profits & civic groups are helping to rally donors to give blood to help the local blood supply in Muskogee hospitals.